Billing is situated in dhauladhar range of himachal Pradesh. This place is basically famous of world class paragliding. 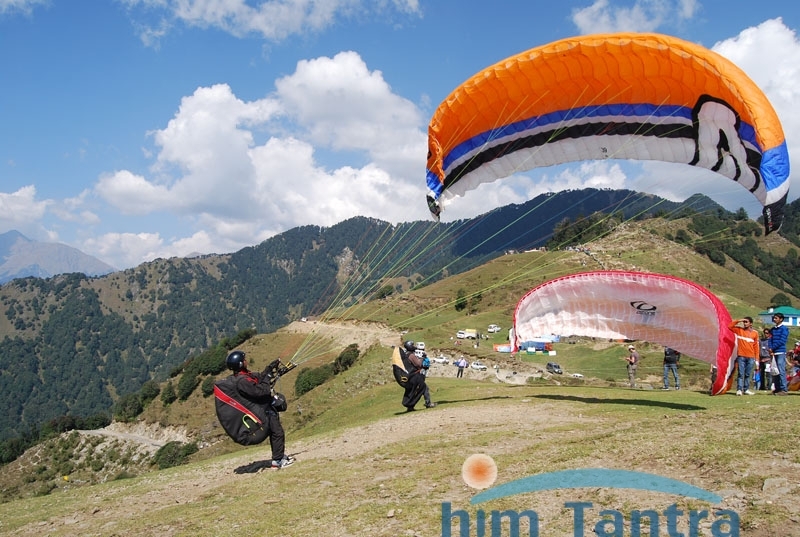 Their launching destination ’Billing’is at 2,400(8500 ft)on the Dhauladhar ranges and 14 km from Bir, which came in the news in 1984 when an international Hang Gliding rally was organized at Billing, They rated this place as one of best in the world. At billing while flying in the dhauladhar range of greater Himalayas you experience a spectacular bird’s view of lush green hills and upper range of valley covered with snow. Once airbone the breath taking view will make you realize why they call valley of GODs and Goddess.